This is strong nature writing—descriptive and thorough, and helped by Spencer’s obvious devotion to his task. For years, from May to November, Lee Spencer has stood guard over the population of wild steelhead salmon in the same northwestern waters, helping protect the fish from the poaching and dynamite fishing that had threatened their numbers for at least half a century. In A Temporary Refuge, he consolidates his years of experience into a calendar year of anecdotes, taking readers through the steelheads’ annual cycle via his memories and observations. What makes the book so effective is that Spencer’s approach to conservation is firsthand, on-the-ground work. Though he incorporates plenty of facts and history about the fish to satisfy the most clinically minded readers, his writing is never clinical. This is strong nature writing—descriptive and thorough, and helped by Spencer’s obvious devotion to his task. He shares anecdotes of conversations with other visitors to the area, describes the various human threats to the steelheads’ environment, and even tracks the impact of humans on the area, from prehistory to today. 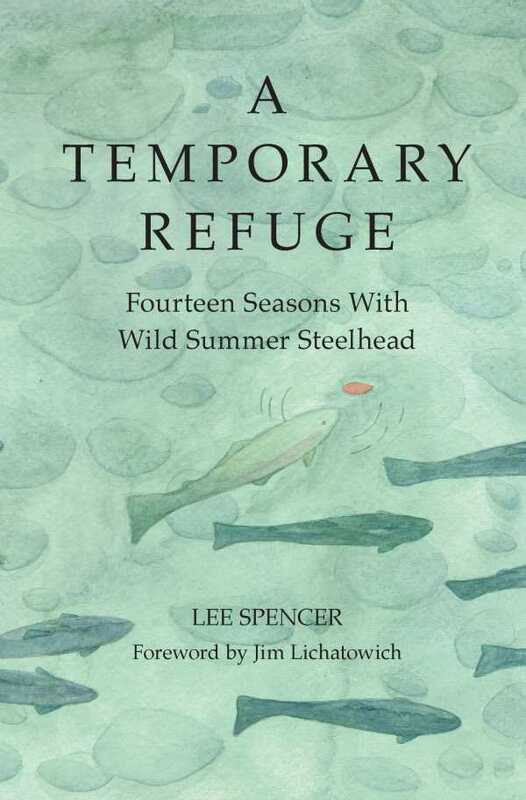 While it is steelhead that specifically drew the author in, he relates plenty of stories about the area’s other wildlife and includes lovely illustrations by Cathy Eliot of several species. He writes about the merganser ducks that use the same waters, the otters who play in them, and the beavers who build dams there. Spencer also movingly bookends his observations with tributes to Sis, his beloved dog, who accompanied him for ten of the fourteen seasons chronicled and acts as a major character in her own right. A Temporary Refuge succeeds on multiple levels. It effectively documents regional wildlife (the specific spot is never named, to avoid encouraging more visitors) and the perilous annual migration of the wild fish. It puts the interaction between man and nature into important context, and shows why the wild population is so important, even as hatcheries breed more and more salmon. And it’s also a meaningful memoir about a man and his dog who were devoted to helping protect part of our shared natural heritage, year after year.